Art can be used as a tool to solve many problems. Thus, about one year ago the Erie County Legislature and Executive and Buffalo Mayor Byron Brown made the commitment to a public art program with the Albright-Knox Art Gallery. Art should be part of the gear in the toolbox of Buffalo’s economic growth, and it seems these elected leaders understand this. Aaron Ott was hired to be the public art curator at the Albright-Knox, in a staff position supported by Erie County, early in 2014. He moved here from Chicago, where he was the curator at the Hyde Park Art Center and David Weinberg Art Gallery, where he collaborated with other staff members on public engagement and education programs. Aaron is charged with leading the AKAG’s new public art initiative. Catherine Gillespie is the appointed chair of the Buffalo Arts Commission, which is responsible for all of the art that that is on city-owned land or in city-owned buildings. The commission’s work includes acquisition, acceptance of new works (and all that that entails), and conservation. In this role, she also represents the mayor on the Albright-Knox board of directors, where she sits on the public art committee. Catherine is an artist and was one of the founders of Artists in Buffalo. Gerald Mead is also a member of the Public Arts Commission. He has participated in several public art selection committees, including for the International Center for Inquiry, New York State Center Bioinformatics, and Children’s Hospital. He is currently working on the one percent for art project for Niagara Street, which is the second of six such projects. Gerald is an artist, collector, instructor at Buffalo State College, and independent curator. Marissa Lehner completed her first mural, with neighborhood residents, at Grant and Amherst Street with Emerging Leaders in the Arts Buffalo, and has been the curator for all of City of Night’s site-specific work. She is project director for the Ferry Street Corridor Initiative, supported by Mark Goldman’s new nonprofit Friends of Buffalo Story. Marissa is an artist, completing her masters in arts education at Nazareth College. Most of us are unaware of the work of the Buffalo Arts Commission, or that they play a key role in assuring feasibility, safety, appropriateness, and sustainability of public art works, including monuments and plaques. The commission also has the responsibility of making sure that the community is heard and represented. So, it makes sense that they are working hand in hand with Aaron on his projects. He attends all of the commission meetings in order to insure smooth operations, and Catherine is on Aaron’s Public Art Committee for the Albright-Knox. The project of the Albright-Knox is unusual. It is largely modeled on Director Janne Siren’s experience as director of the Art Museum in Helsinki. There, the museum managed the placement of and integration of art into municipal buildings and spaces, including schools, libraries, and offices. 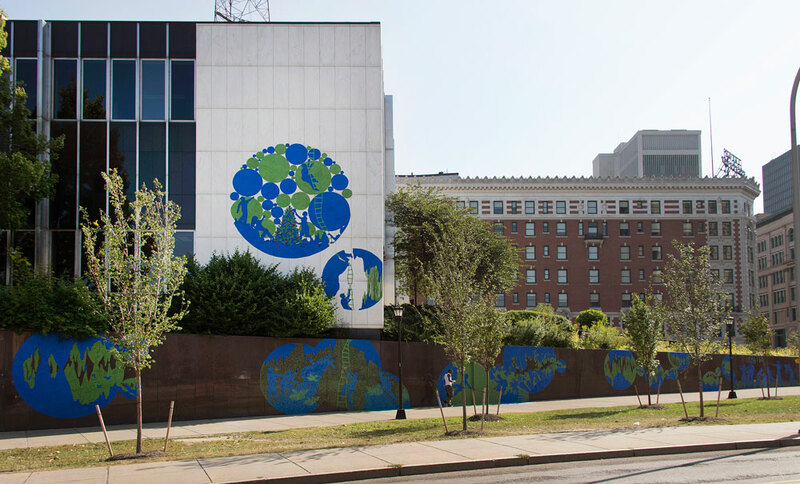 While there are plenty of significant public art programs in the United States, for an art museum to prioritize placing art and connecting art with a large geographic area is unique. The AKAG has been cautious with their first projects, a move that has disappointed some, and an approach that makes sense when listening to this group of people. The vision for this public art imitative is still being formed. The four projects of the Albright-Knox so far illustrate very different approaches. Shark Girl is a static sculpture in the very public Canalside, which entices interaction, most often of the “selfie” kind. The Tape Art Collective’s project this summer on the Downtown Library’s north facing exterior walls was temporary, fully installed for two weeks. The artists being there, talking with passers by as they created the temporary work was more than half of the vital experience of the work. 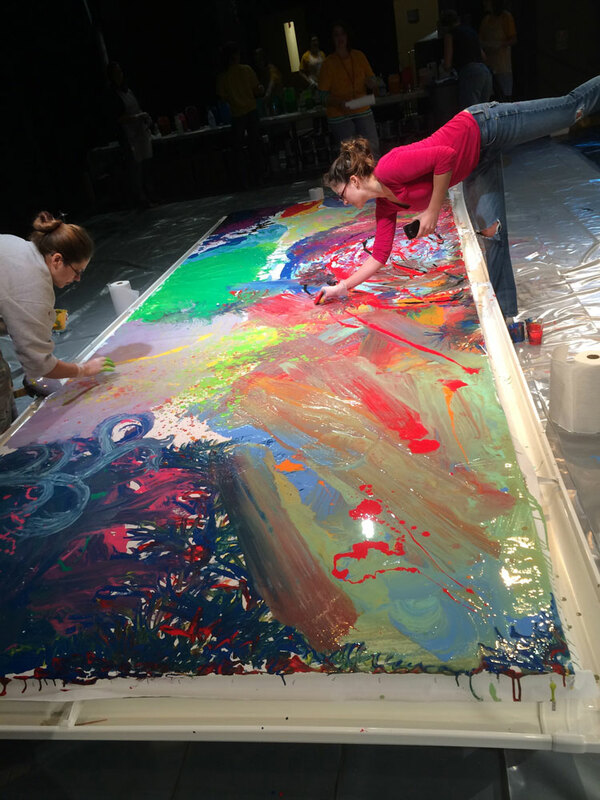 In October, Charles Clough’s Arena Painting experience took place at Hilbert College, where hundreds of people participated in making one of his signature paintings, which will installed soon at the Hamburg Library. This fall, 20,000 art kits were provided to Buffalo Public School students, and an additional 40,000 will go to children throughout Erie County, gifted by Janet and Peter Boris. The opportunities in the over 1,000 square miles of Erie County, and even beyond that considering the communities the Albright-Knox serves, are limitless. Public Art has historically most often been thought of as either abstract modernism or monuments to wars and presidents. There are figurative representations in memorial, like the Hispanic Americans Veterans Memorial Monument placed at the Buffalo Naval and Military Park in 2013. Two other prototype examples can be found in Niagara Square: the minimalist obelisk McKinley Monument (1907) by Alexander Phimister Proctor and Newman & Evans, or Modernist metal works like Kenneth Snelson’s steel sculpture (installed 1980) across the street. Performance and activist art since the 1960s have added to the palette of what is considered public art. The new approach of “creative placemaking,” has put a name on this broadening notion, and this new form embraces community interaction and site specificity. Many public art projects today look to do more than mark something in history or provide a moment of beauty. Today, engagement of the community so that they become a part of the artwork is paramount. The art works need not be something permanent, but may simply be an experience. We are also not to talking purely visual. The experience ranges all art forms — it’s broken the frame of murals, marbles and metal. Beyond the project of the Albright-Knox, so much art making happens in this region, and traditional venues are morphing. New approaches are emerging. The Ferry Street Corridor project, in partnership with Mayor Brown and Young Audiences of Western New York, is engaging students at the Buffalo Academy for Visual Arts and Lafayette High School, and connecting with families at The Wash Project and Skateland. These public voices will come together in public artworks (not necessarily visual) to be showcased over the summer of 2015. If our city is going to grow, so will the art making and opportunity for experiencing the arts. Artists will mark our time, with these new more democratic methodologies. The work of artists is in fact one of propelling the region forward. These are only two initiatives of many that are creating public works and engaging the community in our area right now. 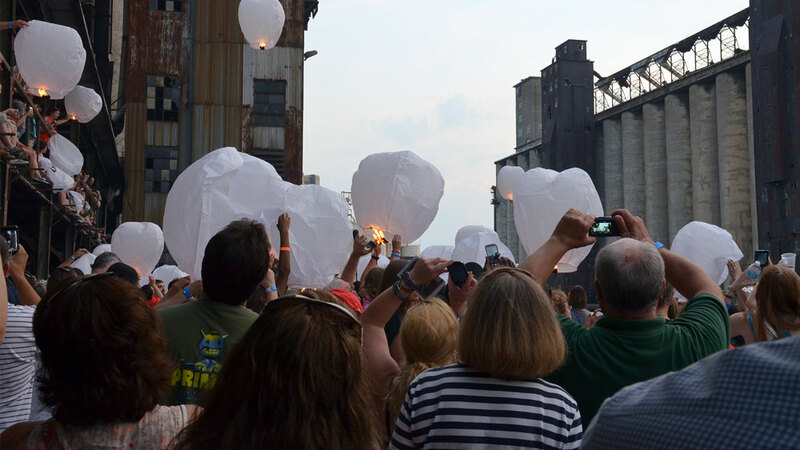 Many cultural organizations engage the community in schools and community venues, whether it be Buffalo Philharmonic Orchestra concerts, Squeaky Wheel’s TechArts for Girls or Just Buffalo and CEPA Gallery’s Writing With Light. Cultural production and work with artists abounds. Cynnie Gaasch is the executive director of Young Audiences of Western New York.